Clowns keep a registry of their faces — on eggs! 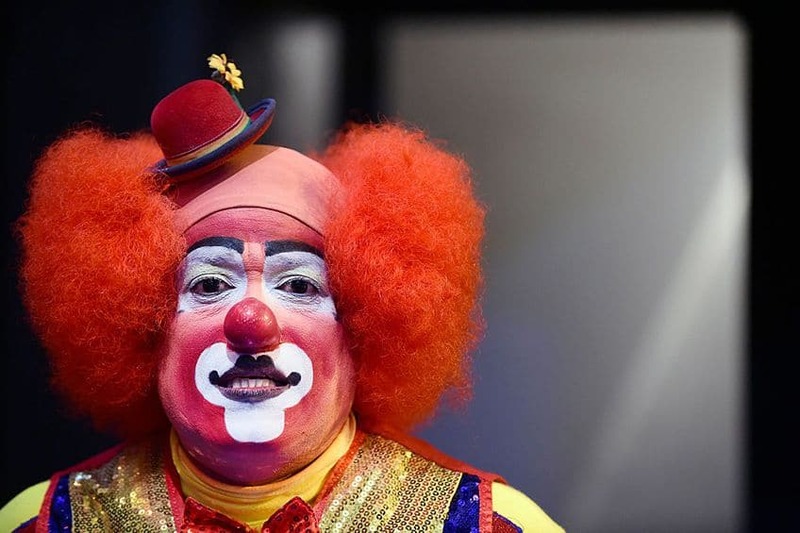 Did you know that professional clowns all have their own unique looks that they create with makeup and wigs? But how do they keep track of those looks and make sure that no one’s copying each other? The obvious answer would be to take a picture! But clowns like to do things their own way. So a clown face registry was created — on eggs! Putting clown faces on eggs wasn’t a tradition started by an actual clown. A chemist named Stan Bult began painting on emptied-out chicken eggs as a hobby in England in 1946. He really liked circus clowns and wanted to capture their unique faces. The clowns liked his eggs so much that they started using them as an unofficial way to keep track of each other’s looks. 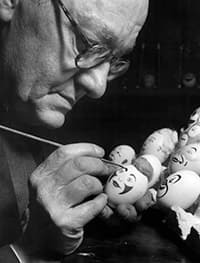 Clowns International, a professional organization of clowns, collected Bult’s eggs for its museum and kept up the practice of painting faces — now on less breakable ceramic eggs. There’s no way for clowns to keep someone from copying the way they put on makeup, red noses or funny wigs. But clowns have an unwritten rule about not using each other’s acts and styles. 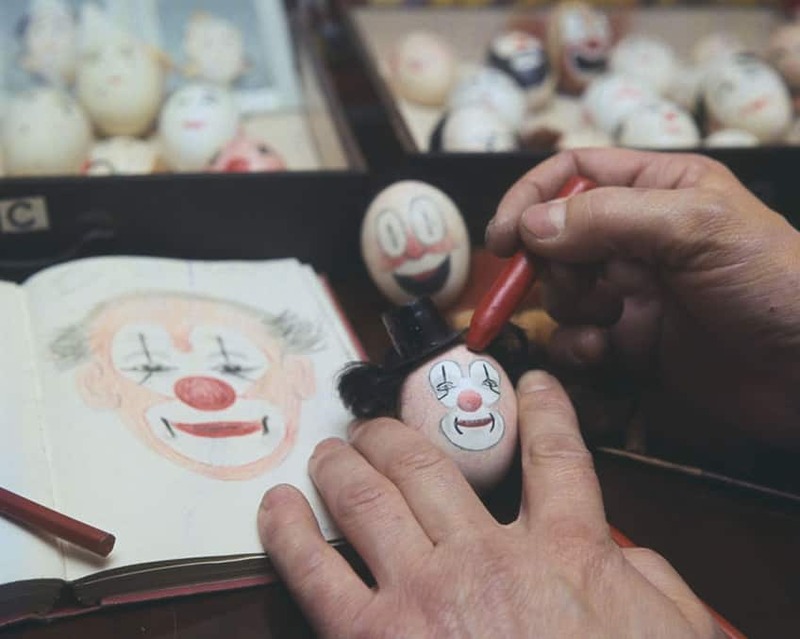 Having the painted eggs is a fun way to keep a record of clowns’ faces. It’s also a nice way to honour clowns of the past. The clown register has an artist to paint the eggs, complete with little hats and tiny wigs. Clowns get their own copy of the finished egg, with a second one going to the museum. Clowns International has several museums in England. 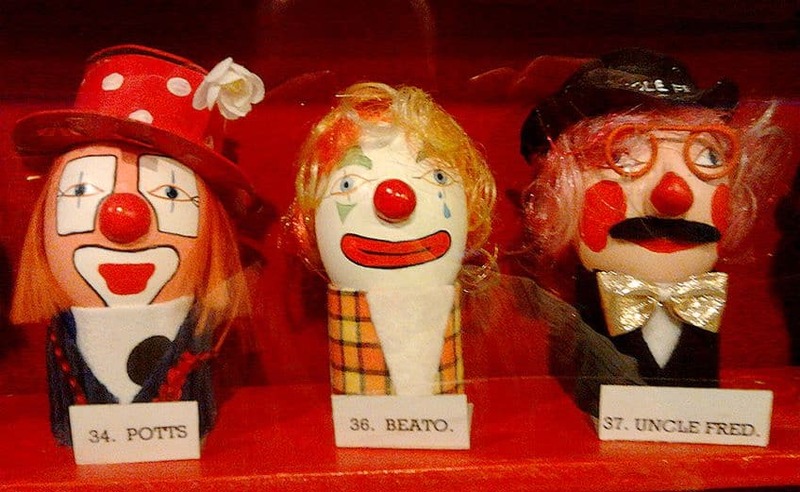 In London, there’s the Clowns’ Church — which is located inside a real church — that houses a collection of 50 eggs. 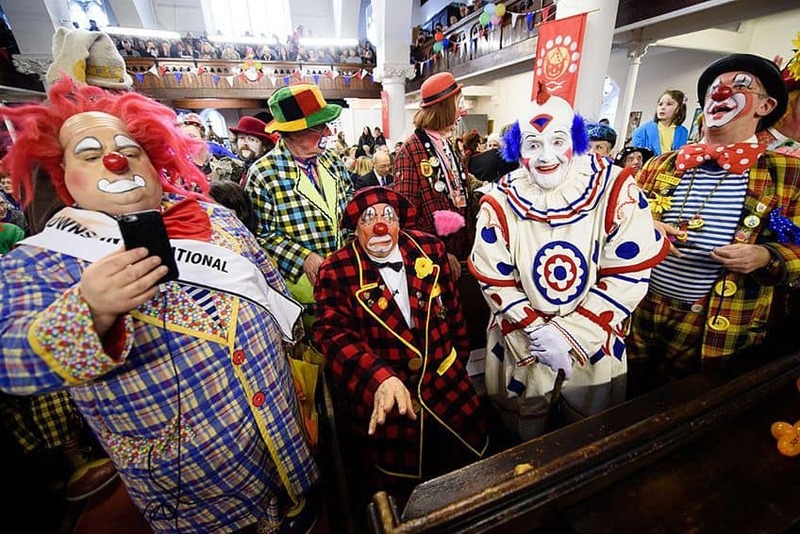 On the first Sunday in February there’s a special church service where clowns show up in makeup and costumes. 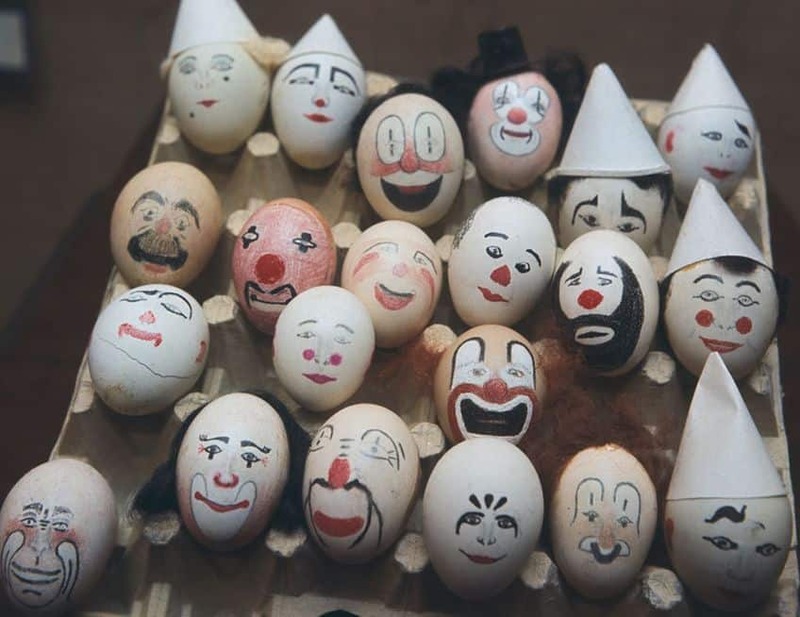 The rest of the eggs — more than 200 — are housed in a larger clown museum outside London, England. There they have costumes and props used by clowns of the past, including a clown car! 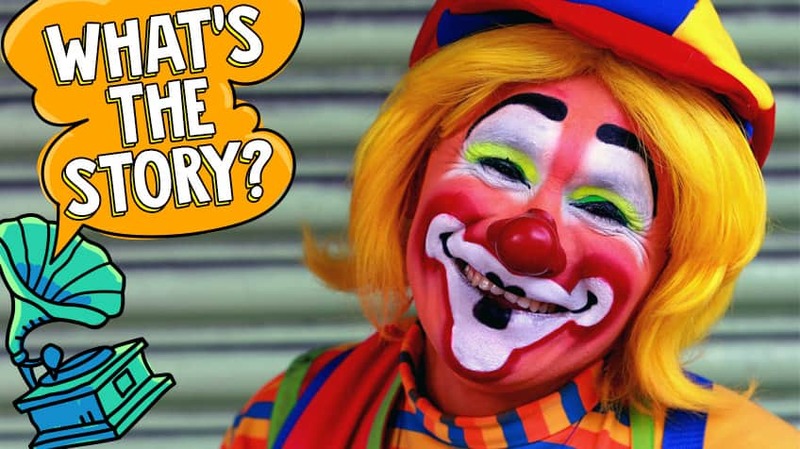 Fear of clowns — there’s a word for that! If looking at clowns, even clown eggs, sounds like the worst thing in the world to you, you’re not alone. Fear of clowns is a real thing — it’s called coulrophobia (say "CALL-row-pho-bee-ah"). What’s the scoop on soap?